Have you ever wondered why French women have such incredible skin? The answer is right at your fingertips. Literally. 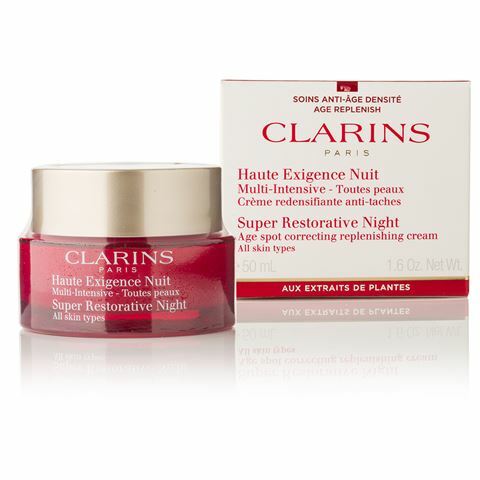 Clarins understands your skin. They know its needs. How it works. What stresses it out and how to keep it looking beautiful. That’s why only the very best ingredients are added to Clarins products. 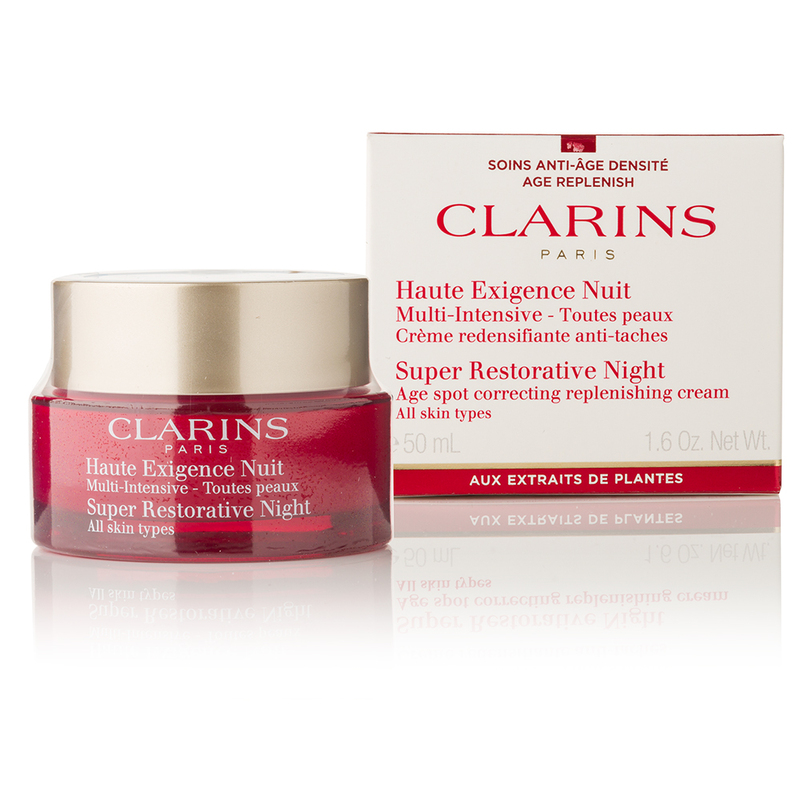 Everybody is their own worst critic…but Clarins gives you reason to love your skin again. Their Super Restorative Night Cream meets the specific needs of all skin types weakened by hormonal changes linked to ageing and works overnight. This powerful product is enriched with exclusive organic harungana extract, a healing tree from Madagascar, replenishing the skin at all levels. Night after night, your skin will appear replenished and youthful with reduced age spots and a more even complexion. Intensive night treatment that meets the specific needs of all skin types weakened by hormonal changes linked to ageing. Organic harungana extract replenishes the skin at all levels. Minimises the appearance of wrinkles and gives your skin a more even complexion. Organic Montpellier rock-rose extract leaves the skin lifted and unified. Presented in a Clarins gift box.